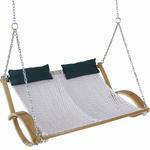 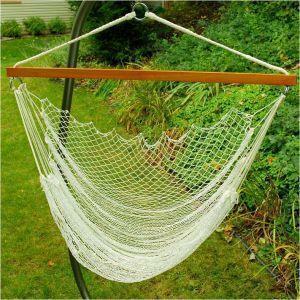 Classic Net Hammock Chair The Classic Net Hammock Chair is made of woven nylon. 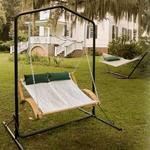 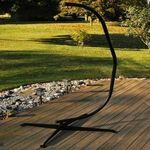 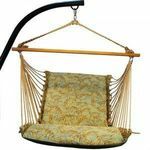 This net chair has an overhead wood spreader bar, creating a comfortable chair 30" to 40" wide and up to 80" long. 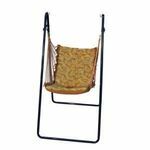 Length of Chair: Up to 80"
Width of Chair: 30" to 40"